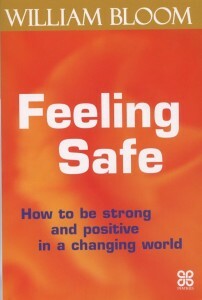 This excellent book is subtitled How to be strong and positive in a changing world: it’s a short, practical primer on techniques to raise your personal resilience. William’s books inspire me by their skill in presenting ideas which are potentially complex or strange, in common sense mainstream language. Here, he explores the physiology of resilience, along with personal energy fields, managing a hostile atmosphere, and lots more. You’re probably familiar with fight-or-flight, and overstimulation of adrenalin. What’s new here is detailed advice on how to manage your own physiology: “The long-term key to a calm and safe body is to have an ongoing and healthy flow of …opiate hormones.” And key to this is “to take small moments of pleasure and to expand them into something stronger, longer and deeper.” He offers a simple technique he calls “strawberries” to achieve this. William offers useful insights into handling negative feelings, pointing out that in our times there are huge collective fields of anger, fear, outrage, which can amplify our personal negative feelings. He advocates connecting to the benevolent, positive aspects of our own situation or the wider world as a counterbalance. His chapter on Energetic Protection I regard as really useful, though it might seem a bit New Age to some. I believe we’re all exposed to a lot of negative energies these days, from other people, news media, pollution and more: so strengthening your own ‘energy field’, including through connections with nature, makes a lot of sense.